The Art Underground, 901 Front St. in Louisville, and The Arts Hub, 420 Courtney Way in Lafayette, are nonprofit centers that offer classes for all ages in dance, theater, music, photography, film and visual arts.www.artunder.org. Certified American Red Cross instructors teach first aid, CPR, babysitting and lifeguarding. Classes are held at various locations throughout Boulder County. 303-668-8079; www.bouldercpr.com. BDA offers workshops, classes (in-person and online), certificate programs and events for digital artists and creative professionals working in film/video, marketing, social media, photography and graphic design. Upcoming classes include Portrait Photography (Dec. 12) and Web Development Fundamentals (Jan. 3). Register at www.boulderdigitalarts.com. BDA is at 1600 Range St., Suite 100. BoMA offers a variety of classes and hands-on workshops in metal arts, like Creative Chain Making, Tool Making for Jewelers, and Amulets & Talismans. 4919 Broadway, Unit 14. www.bouldermetalsmiths.com. The Potters’ Guild offers classes and practice sessions for all skill levels, from beginning to master-level. Check www.boulderpottersguild.com for a schedule, and sign up for email alerts about sales and other special events. The Boulder Pottery Lab, in conjunction with Studio Arts Boulder, offers a variety of ceramics classes for youth, teens, adults, seniors and people with disabilities. Check the class schedule at www.boulderpotterylab.org. The facility is housed in the historic Fire Station #2 at 1010 Aurora Ave. The Center for Musical Arts, located at 200 E. Baseline in Lafayette, features 13 teaching studios with private and group lessons for all ages. www.comusic.org. Intercambio offers free weekly classes around Boulder County that help participants learn English and give them information about the U.S. citizenship process and the citizenship interview. For locations and other details: 303-996-0275; www.intercambioweb.org. Boulder Parks and Recreation Department’s EXPAND program sponsors adventures, services and recreation programs—including sports, fitness, camping and swimming—for children, teens and adults with disabilities. www.bouldercolorado.gov/parks-rec. See listing for free fly-fishing classes under Sports Events. Brigitte Mars, a renowned Boulder-based herbalist, nutrition consultant and author, offers a variety of herb-related workshops and classes, including short herb walks around Boulder and a summer herb camp for kids. www.brigittemars.com. Boulder Valley School District offers classes for all ages in subjects like writing, dance, health and fitness, money, languages and gardening. www.bvsd.org/LLL. The Living Arts School is a “folk school” for traditional living skills, crafts and music. Classes are held at various locations throughout Boulder County. Fall classes include “Preserve the Harvest” and “Spoon Carving: Ancient Craftsmanship.” See the complete class schedule at www.livingartsschool.com. Learn how to knit, crochet, weave, spin and do needle-felting at this Longmont store. See the full schedule of classes at www.longmontyarn.com. The store is at 454 Main St., Longmont, in the rear unit. Mudslingers offers small-group lessons and workshops for beginning and experienced potters, and open studio sessions for experienced ones. 920 Main St., Suite 1, Louisville. 303-926-0996; www.mudslingerspottery.com. Saturdays: Free Beading Basics classes happen on a drop-in basis each week from 10am-1pm. At 2pm, “make-and-take” sessions let you create your own unique jewelry (materials fee applies). There are also fee-based classes most Sundays. Registration required. 1909 Ninth St. 303-786-9746; www.nomadbeads.com. Parlando offers group and private lessons for all ages, on topics like Cello Group Class, Chamber Music and Flute Choir for Adults. Parlando is at Dairy Arts Center, 2590 Walnut St.; there’s also a satellite location in Denver. www.parlando.org. Boulder County recreation centers offer a variety of classes in sports and fitness, healthy living and nutrition, arts and crafts, social dancing and more. Visit each center’s website for a schedule and registration info, or pick up a brochure in person. 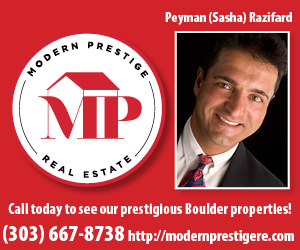 Boulder: East Boulder Community Center, 5660 Sioux Drive; North Boulder Recreation Center, 3170 Broadway; South Boulder Recreation Center, 1360 Gillaspie Drive. 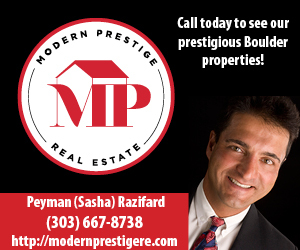 303-413-7270; www.boulderparks-rec.org. Erie: Erie Community Center, 450 Powers St. 303-926-2550; www.erieco.gov. Lafayette: Bob L. Burger Recreation Center, 111 W. Baseline Road. 303-665-0469; www.cityoflafayette.com/recreation. Longmont: The main rec center is at 310 Quail Road. Classes are also offered at the St. Vrain Memorial Building, 700 Longs Peak Ave., and at Centennial Pool, 1201 Alpine St. 303-774-4800; www.ci.longmont.co.us/rec. Louisville: 900 W. Via Appia. 303-666-7400; www.louisvillerecreation.com. Nederland: Nederland Community Center, 750 N. Highway 72, 303-258-9721; www.nederlandcommunitycenter.org. 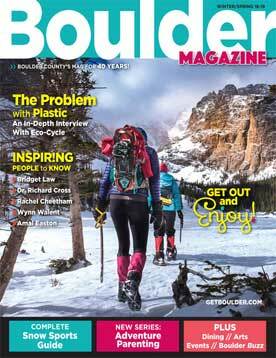 The Boulder REI store, 1789 28th St., offers classes and workshops on outdoor topics such as backcountry navigation and how to climb a 14-er. www.rei.com/boulder. This nationally known music school has two area locations: 3280 28th St., Unit 1, Boulder, and 11970 Quay St., Broomfield. It offers lessons in guitar, bass, drums, keyboard and vocals. www.schoolofrock.com.